WINCO air-cooled emergency standby generators use high quality engines that are capable of starting in cold temperatures. WINCO has designed an engine heater kit that is field installed to keep your engine block warm. 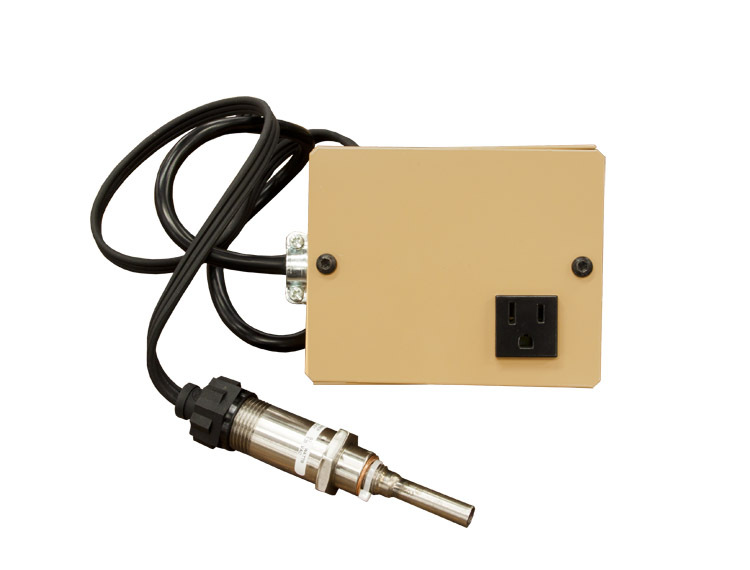 The kit includes a thermostat that engages the heater at 50 degrees F (internal cabinet temperature) and shuts off at 60 degrees F.
The heating probe is produced by Kim Hot Start and is inserted into the oil pan replacing the second drain plug. The kit is powered from the factory installed duplex receptacle. To allow for the battery heater an additional NEMA 5-15 receptacle is included in the kit.